The Dog Zombie: The Dog Zombie, DVM, MS! The Dog Zombie, DVM, MS! 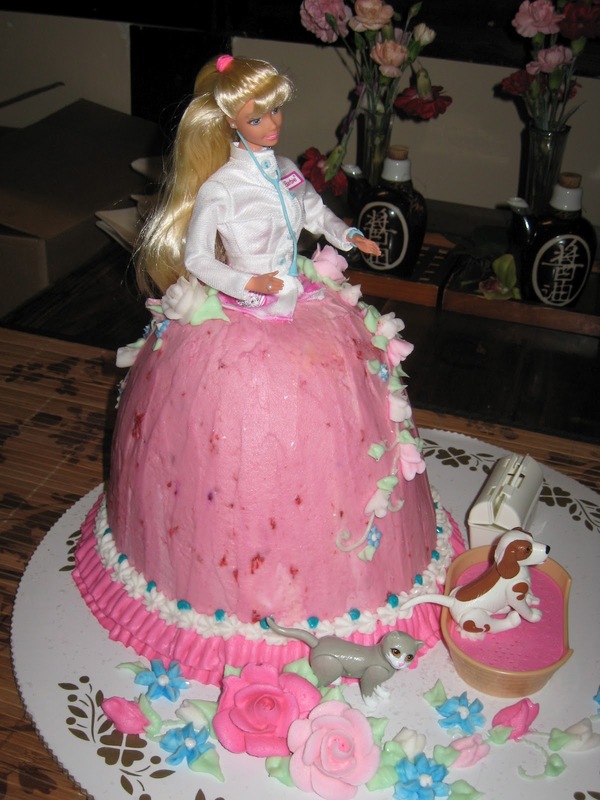 Yes, that is a Pet Doctor Barbie graduation cake. I graduated! You may now call me Dr. Dog Zombie. Next: shelter medicine internship in Florida! Congratulations! Dr. Dog Zombie has a pretty good ring to it, actually. The cake was excellent. Eating Barbie's skirt!! Thanks, Jen! I have been walking around saying "doctor" to myself for the last two days. johns: When you pull the doll out of the cake she is naked under her skirt. It was awfully creepy. Now I am dithering about whether to throw the doll away. She is all cakified and gross even after scrubbing, but I can't quite bring myself to put her in the trash. The cake itself was excellent. Congratulations! That "doctor" bit's kind of cool, isn't it?